Browning Prism II Pocket Knife - Pink - 440A Stainless Steel - Anodized Aluminum - Buckmark, Pocket Clip, Thumb Studs, Liner Lock, Drop Point - Everyday Carry EDC Outdoors Hunting Fishing Camping | BUDK.com - Knives & Swords At The Lowest Prices! 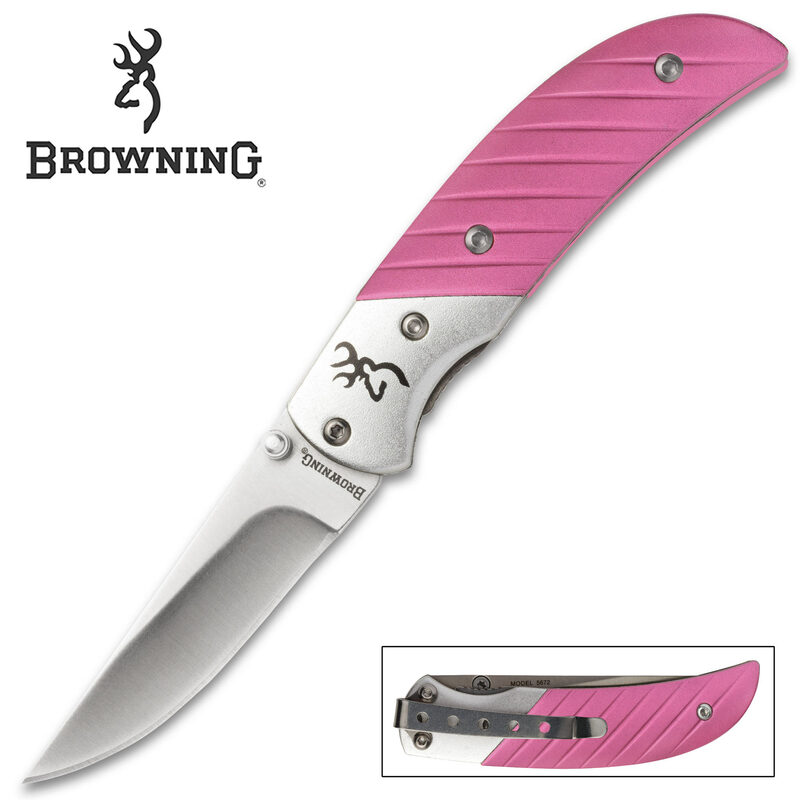 Corrosion resistant anodized aluminum handle scales; aluminum bolsters adorned with famous Browning "Buckmark"
The Prism II is Browning's best selling pocket knife, and for good reason. 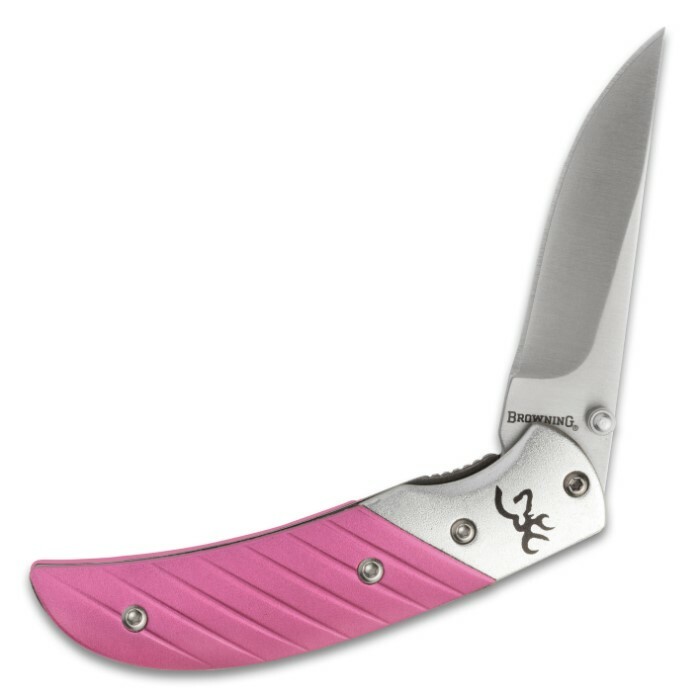 It's compact and easy to carry yet performs as well as many of the industry's most expensive pocket knives, often outperforming them. The versatile drop point blade is flawlessly cast from rugged 440A stainless steel and boasts an Rockwell hardness rating of 58. Carefully honed, the edge is razor sharp right out of the box and stays that way through even the most punishing cutting tasks. One-handed blade deployment is a breeze, thanks to the ambidextrous thumb studs, and the Prism II's liner lock keeps the blade fixed firmly in the open position for added safety and stability during especially vigorous use. Extraordinarily hardy, both the blade and anodized aluminum handle are corrosion resistant - perfect for wet environments, humid climates and other moist conditions. In spite of all these outstanding features, Browning's Prism II folders are remarkably affordable! And just like Browning's legendary firearms, you can rely on the Prism II for a lifetime of rugged service. When choosing an everyday carry, look for the famous Browning "Buckmark," and be assured of quality and dependability.